On infographicportal.com there's a nice representation how fast the mobile market is growing - and how important this market is and will be in near future. 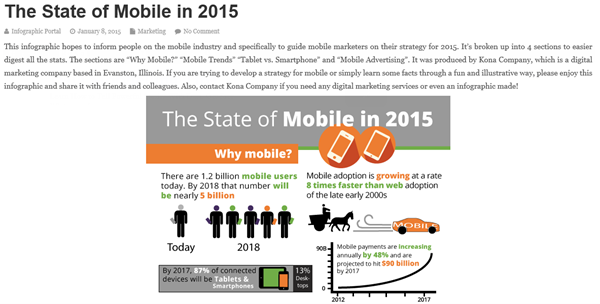 "There are 1.2 billion mobile users today. By 2018 - in 3 years - that number will be nearly 5 billion." "Mobile payments are increasing annually by 48%." "By 2017, 87% of connected devices will be Tables and Smartphones." "By 2017, video will be 66% of mobile traffic." Impressive! Read the full graphics and the article here. Software vendors, check your solutions and apps for mobile devices!